Our highly qualified Registered Nurses (RN) and Licensed Practical Nurses (LPN) perform tasks that are required for the clients who have ongoing medical problems, i.e. wound care, g-tube feeding, administering medications, implementing doctor’s orders, re-evaluating plan of care as needed. They provide direct and indirect client care services in compliance with SafeHarbor Healthcare Services (SHHS) policies, procedures and government and professional standards. They are also required to submit in–depth daily notes on the care of their patient. 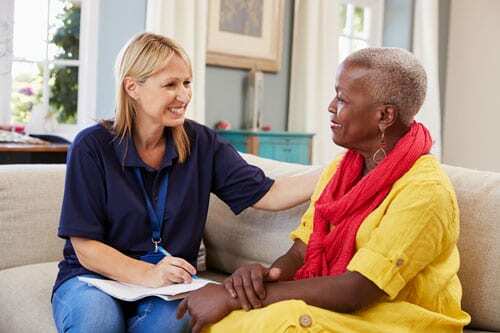 Certified Home Health Aide (CHHA) provide assistance with activities of daily living, companionship, meal preparation, housecleaning, personal grooming, including bowel and bladder care, bathing, exercise (when appropriate), accompaniment to Doctors’ appointments, and medication reminders. The CHHA provides personal care and designated health related services to maintain their patient’s physical and emotional well-being. The CHHA performs services following the written plan of care prepared by the Supervising Nurse at the initial assessment visit. The CHHA is required to submit timely documentation of care in accordance with SHHS policy as well as communicate to the supervising nurse any change in status.